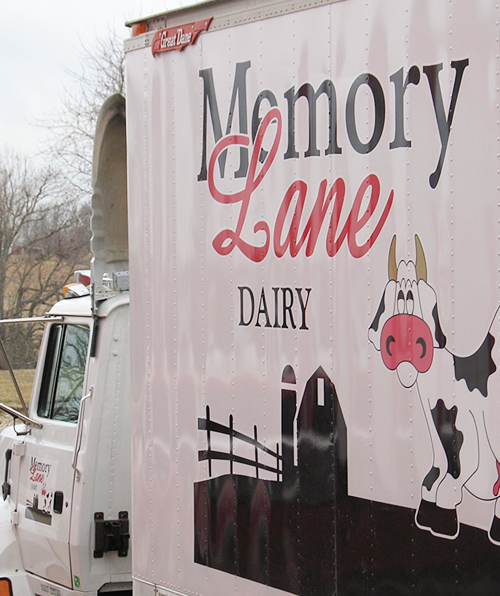 Memory Lane Dairy is a small dairy with a big vision: to produce craft milk so fresh and healthy that you can taste the difference the moment you sip it. All of our milk comes from cows who have regular pasture access, where they can consume grass. We believe that is part of what makes Memory Lane milk taste so delicious. Our small staff pasteurizes and bottles our milk twice each week to ensure the milk stays as fresh and cold as possible. Memory Lane milk does not contain artificial growth hormones and is always tested for antibiotics, making our milk just as good for you as it is delicious. We’re proud to say that our milk is sourced from local family farms, most of which are located within 50 miles of our bottling facility in Fordland, Missouri. Our dairy farmers utilize and adhere to the Dairy Farmers of America (DFA) Gold Standard Program, which provides on-farm best-practices evaluations to assess, analyze and provide feedback about on-farm practices; encourages continuous improvement; and recognizes farmers’ achievements. The plant in Fordland, Missouri, was completely renovated and repaired after it was destroyed by a tornado in May 2008. The word got out about our delicious milk so we updated our packaging to keep the milk fresh and safe as we expanded our distribution. Today, as a division of Hiland Dairy, Memory Lane Dairy provides its high-quality, small-batch milk from pasture-grazed herds to more families than ever in Missouri, Kansas, Oklahoma and Arkansas.